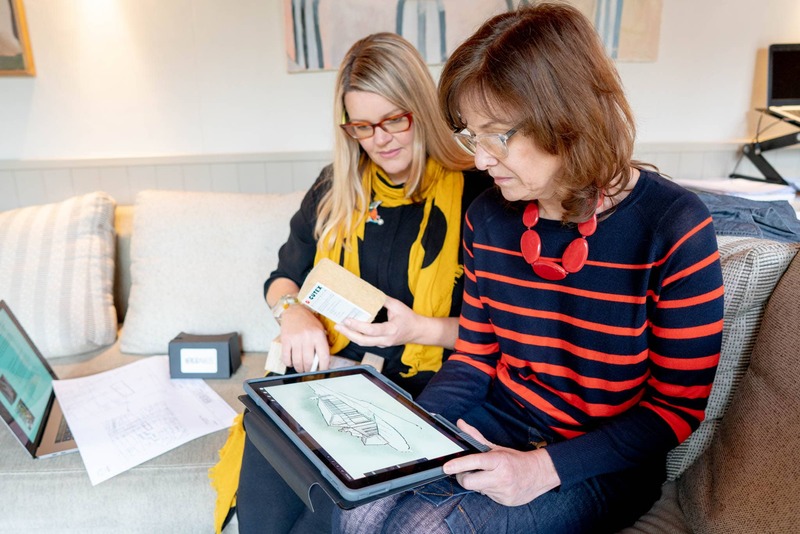 A team of architects, passionate about bringing buildings to life, have been able to do just that thanks to the support of a fully funded business assistance programme. Herlig Marles, which is based in Worcester, has developed its architecture practice from inception to a thriving, innovative company, thanks to support and a grant through the Enterprising Worcestershire programme. As part of this programme, the business secured matched funding which assisted with the purchase of virtual reality software and headsets to help clients visualise their projects. Right from the very launch of their company Herlig Marles, directors Anita Marles and Vanessa Anderson were keen to provide a high level of service to clients. However, both were using incompatible computers and software, which led to a disjointed approach and meant they couldn’t collaborate as effectively as they would have liked to provide the best result for clients. 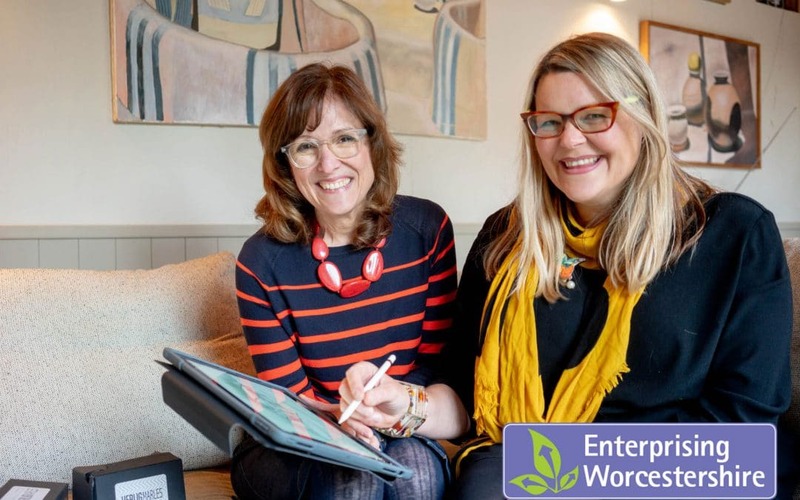 Anita and Vanessa sought backing from the Enterprising Worcestershire programme, an ERDF funded programme offering support and funding to early stage businesses with the potential to grow. As part of this programme, they attended a variety of workshops on topics including HR, marketing, GDPR and Intellectual Property. The guidance they received through these sessions was invaluable, providing business knowledge to push the company forward and allowing Anita and Vanessa to meet with other like-minded individuals who were also on the same journey to growing their businesses. As Vanessa said: “The support programme provided by Enterprising Worcestershire was a wonderful way of ensuring that we had everything in place to run a successful organisation, whilst providing a platform to meet with likeminded groups of people who had started their own journey.” Herlig Marles was also successful in its application for matched funding through the Enterprising Worcestershire programme and received a grant of £1500, which Anita and Vanessa used to purchase a laptop and 3D software, including Virtual Reality goggles to bring their ideas to life. From the inception of a client project, Herlig Marles can now draw everything in 3D, so that everyone, including those who find it difficult to read plans, can visualise what the end result will look like. This has enabled the business to attract a wider range of clients and speed up the design process. It is currently using this new technology to work on projects from domestic designs to building conversions and even a church extension. “Our clients are now able to experience the building before work has started on site, through the sharing of the design model, and a simple pair of cardboard VR goggles. As an open-minded business who take pride in listening and collaborating with the project team, this is really important as it means we can make the process of building work as enjoyable as possible for our clients.” Vanessa said. It is not just the team at Herlig Marles who have benefited from this investment. Through their outreach work with schools and their role as STEM ambassadors, Anita and Vanessa are now sharing their innovative approach to encourage the next generation to consider a career in architecture and the building industry. Visit a careers fair now and you will have to join the queue at the Herlig Marles stand as young minds jostle to take their turn with the VR headsets! If you are an early stage business with potential to grow, but need some support to reach the next level, you may be able to access funding and advice through the Enterprising Worcestershire programme. To apply your business will need to be based in Worcestershire, trading on a B2B basis and be less than three years old. For more information on the Enterprising Worcestershire programme please click here or contact Samantha Preece on 01905 845871 or SPreece3@worcestershire.gov.uk. To find out more about Herlig Marles and the work they do please call 01905 355455 or visit www.herligmarles.com.